I had a huge goal to declutter my entire house in January! And on January 31st I still had two closets, the main bathroom, and the entire basement left to organize. I started Saturday morning with organizing the holiday storage closet because I knew that would be an easy win. Then I moved on to the main bathroom. I was working fast and just knew I’d be able to finish the house before the day was over. And then… the power went out in the bedrooms. And the garbage disposal switch broke. And I remembered that we had plans on Saturday evening. About that time, I realized I probably wasn’t going to meet my goal of decluttering my entire house in January. I was disappointed but decided not to focus on that just yet because I needed to keep moving. After several hours of work, Nathan had our outlet/switch issues fixed and the bedroom lights were back on! So my family went to our Saturday evening event, then Nathan and I put the girls to bed and got to work in the basement! 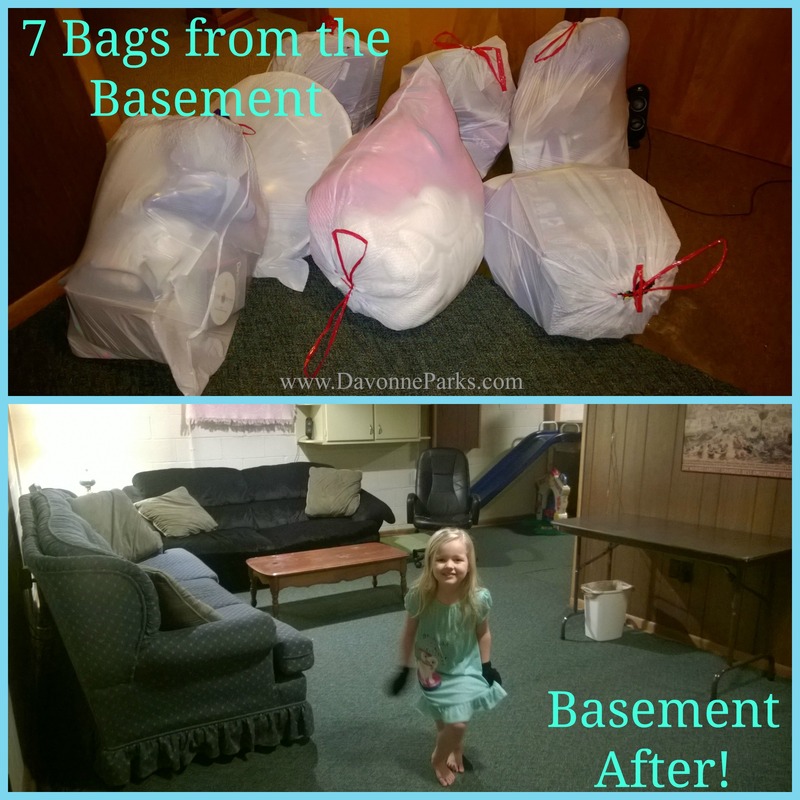 In less than 3 hours of work, we finished the entire basement other than the laundry room! Even though I’d really hoped to finish the entire house, and was tempted to berate myself over not meeting my goal, I chose instead to focus on the positive. 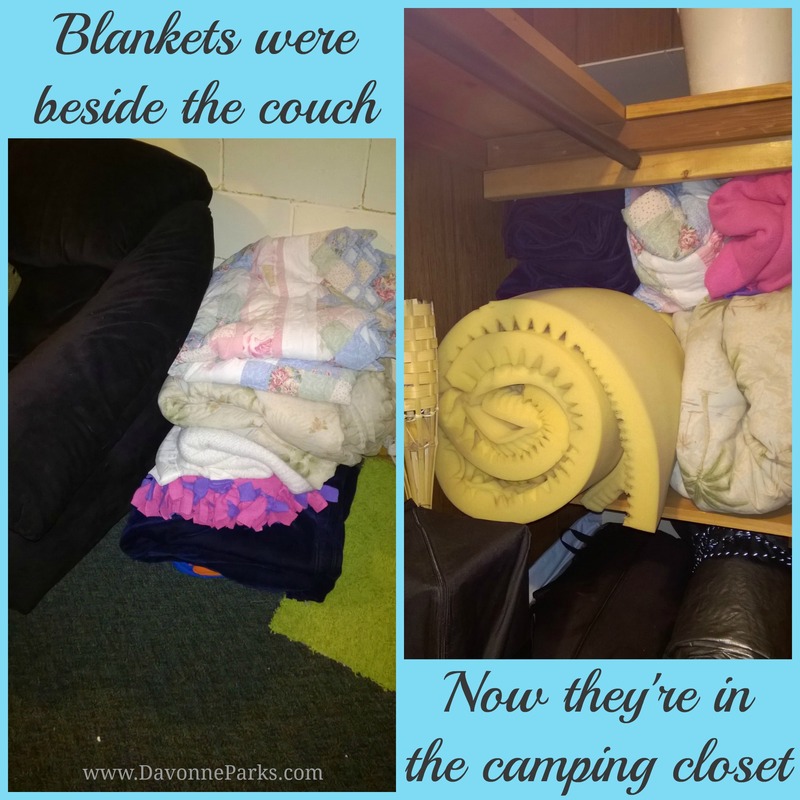 For example, the only two areas in my house left to declutter – the laundry room and Nathan’s spare closet – aren’t even terribly bad. We got rid of 1o trash bags full of stuff on Saturday alone. And even though I didn’t fully meet my goal to declutter my entire house in January, I did make huge progress and my house is so much cleaner than it would be if I hadn’t even bothered trying! I’m considering that a HUGE success! 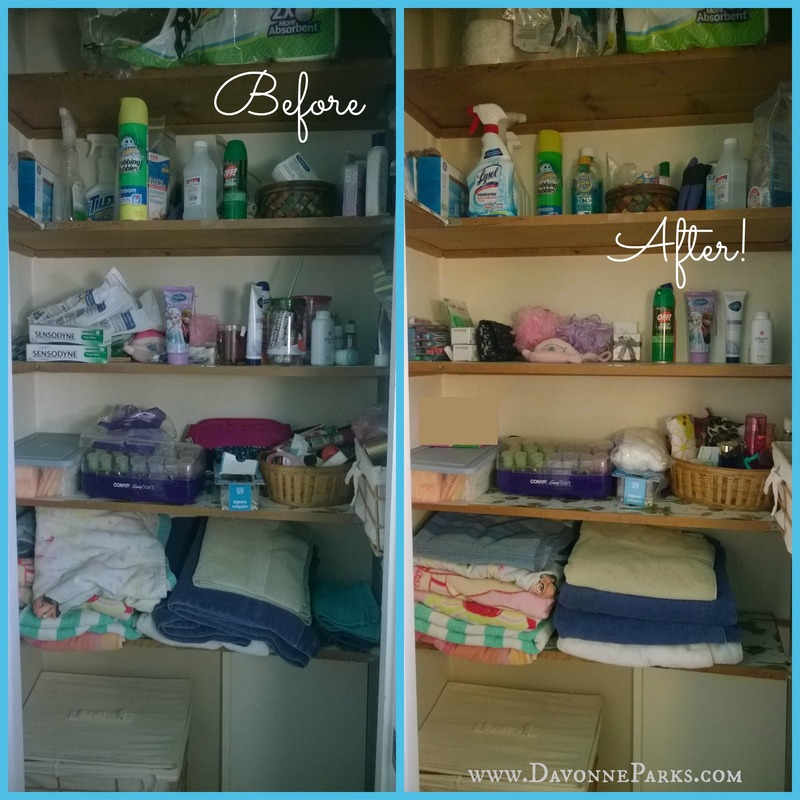 I’ll post updates about the laundry room and spare closet after we clean them out! For now though, check out last year’s declutter article if you’d like to see how I decluttered my entire house in just six days. How about you? How did you do with your January goals? Leave a comment or email me to let me know – I’d love to hear! Also, don’t forget to vote for your favorite transformed space – there are some really awesome before & after photos to see! 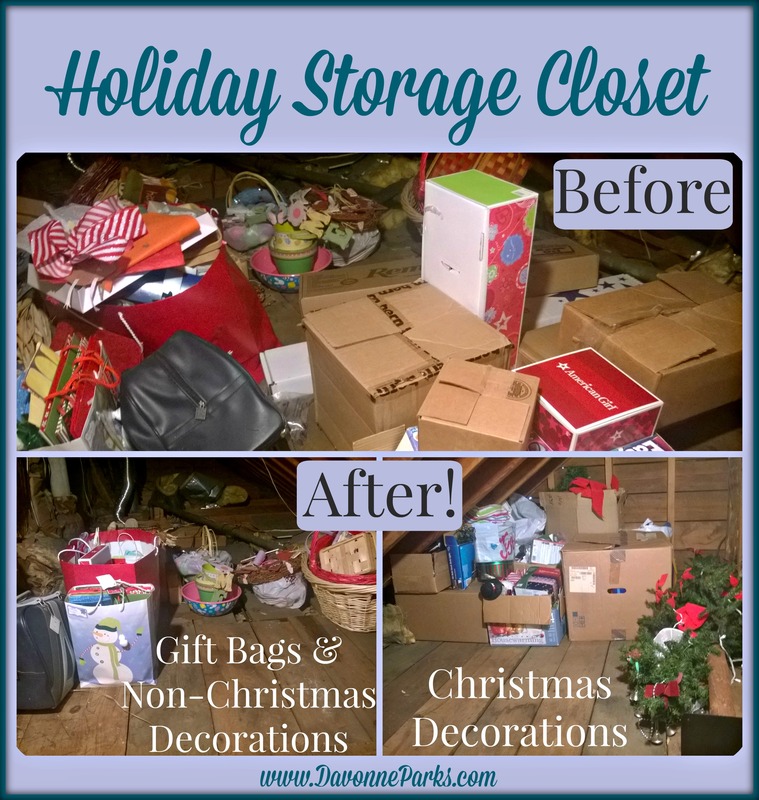 Spent 4.5 hours decluttering the holiday storage closet, main bathroom, and basement. Filled 4 trash bags for donation. Filled 6 trash bags with trash. Areas left to declutter: laundry room & Nathan’s spare closet. Great job very inspiring ! This makes me want to set a goal like this for February! I get discouraged by trying to get so much done in a day but then give up for a while. By giving yourself a time to do it in makes it all seem a little more tangible .